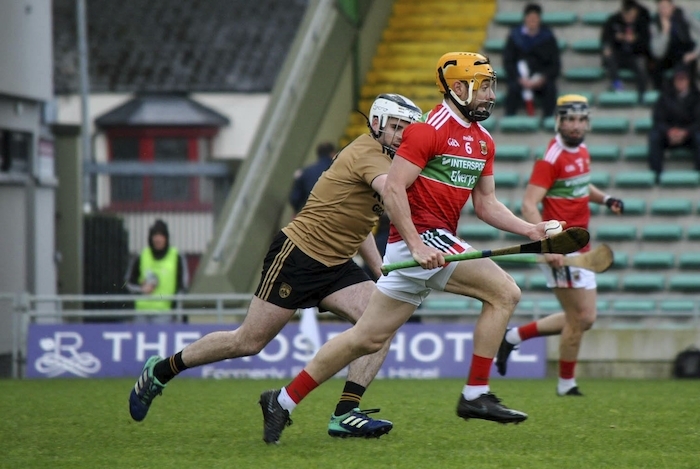 The Mayo senior hurlers will play the second of four games in as many weeks on Sunday, when they welcome Antrim to James Stephens Park on Sunday afternoon. Last weekend Mayo travelled to Tralee, where they were beaten well by their hosts on a scoreline of 3-18 to 0-9 in a game where the Kingdom had wrapped up the points by the break when they led 2-12 to 0-3. Mayo will look to take a lot of learning out that game as their manager, Derek Walsh, told the Mayo Advertiser this week. "It was a big test for us and showed us the level you have to get to in this division - looking back on the video since the game, there was 2-5 we conceded in the first half where we got turned over in possession and you get punished at this level if that happens to you and we were." Mayo are realistic about their aims for the league this year, Walsh explained. "Kerry are one of the top teams in this division and along with Westmeath will be favourites to go up, they are a few years further on than us and you're not going to be playing them every week, but it was a good learning experience for us - if you make mistakes you will be punished and we have to try and stop making them and that's what we are working on. We've a lot of young lads who are getting thrown in at the deep end and they are learning all the time and will take plenty from that game. "We set out our stall at the start of the league that our ambition was to stay up and we are realistic to know that it will probably come down to our last game over in London and we have to be ready to win that one. Antrim are a good side again we are facing this weekend, they have lost two games alright so far this year, but they were narrow losses to both Kerry and Westmeath, who are the top two sides in the division, so it will be another tough one." Mayo put in a better showing in the second half against Kerry last weekend and Walsh is hoping they can use that as a springboard to the push on again this weekend. "When we went in at half time we said that we wanted to go out and win the second half and we were doing that until injury time when we conceded 1-1 late on - so we'll try and push on again this weekend." Walsh was also pleased with how his younger players are showing so far this year as they adapt to the tough environment of division 2A: "They are learning all the time, you've guys like Conor Murray at corner back who is performing very well, he has been in the panel for the last two or three years and it is his first year starting and has put in some good performances at corner back. We also have Corey Scahill now back playing at wing back this year and he has been learning and developing in there." Throw in for the Mayo v Antrim game is at 1pm on Sunday in James Stephens Park, Ballina.